A wonderful note from Dr. Ian Player from South Africa. Regarding the IADC of Safari Club International and the Safari Club International Foundation (SCIF) donation of $10,000 towards the Rhino Informant Incentive Fund. Your help from SCI Foundation to support our fight against the rhino poaching is deeply appreciated. Please convey to your colleagues how much it has helped the morale and effectiveness of the few people quietly working with the informant network we have in the province. Kwa Zulu Natal is historically where we saved the white rhino from extinction with Operation Rhino in the early 60’s, so we must stop this current wave of poaching here as both a practical and a symbolic act. 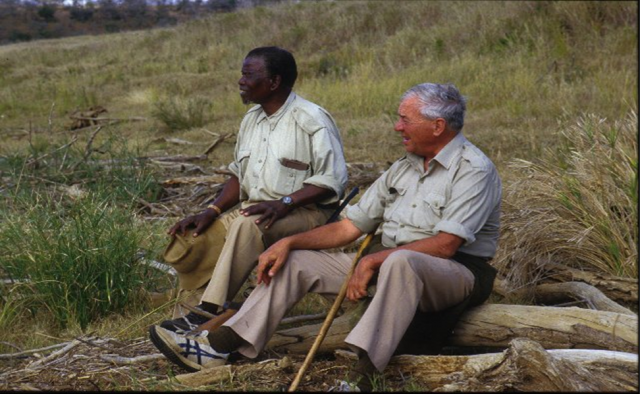 Vance Martin was recently here in South Africa and told me of his conversation with you, and the increased conservation focus of SCI Foundation. Congratulations and thank you again for your commitment and practical attention to conservation. The hunting community has always been helpful to our work, especially in the very early days when I started the Wilderness Leadership School. I’m glad that a man of your integrity and vision continues to increase the conservation work of the hunting community. Finally, Vance also tells me of the work he’s doing with Britt concerning Ian McCallum’s project In the Tracks of Giants. She is a fine young woman and professional, and a great asset for conservation and a better world. It is great to have her as part of our team. *Click here for .PDF version of the Thank you note to SCIF.